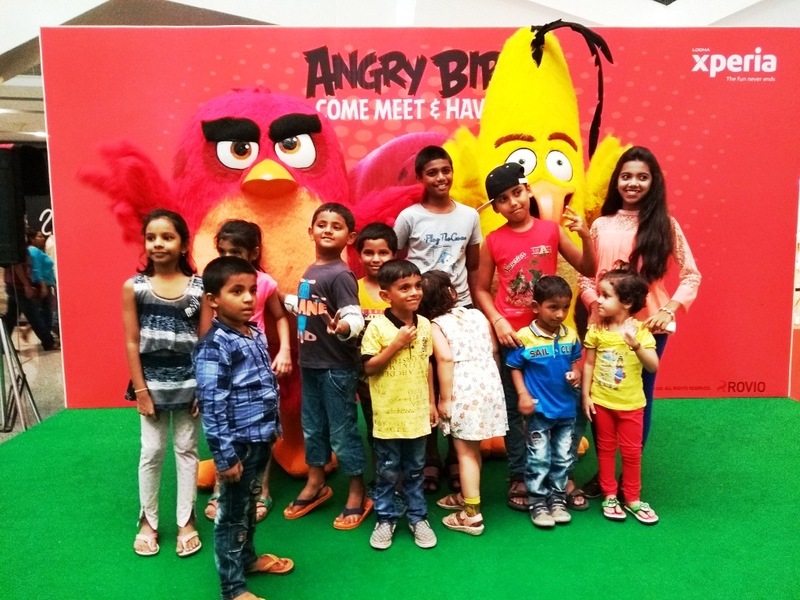 When the Angry Birds took Xperia Mall, Pallava CIty by storm! Summertime is fun-time! School’s out and the kids are looking to be entertained. From 12th May to 4th June, for 4 weekends in a row, The Angry Birds (Red & Chuck) enthralled their fans and had them dancing to their tune, quite literally! LIVE meet & greets are a HUGE draw for family audiences (pester power at its best). Credit to Xperia Mall, Pallava City who went out of its way to publicise the summer carnival across print, radio, outdoor and even an ad in the local edition of Bombay Times. Experiential Marketing & Communications were the designated event organisers for all the festivities and helped ensure the events were managed well with adequate in-mall signage, well briefed MC’s and adequate prep work for the character talent and the audience. To add some more pizzaz to the Angry Birds take-over, the mall was kitted out with life-size interactive games like Smash ‘Em Up and AB-style bowling! let the pics do the talking…. Red & Chuck with their fans! Score & Win AB merchandise! Yes, there were tattoo artists on hand too!